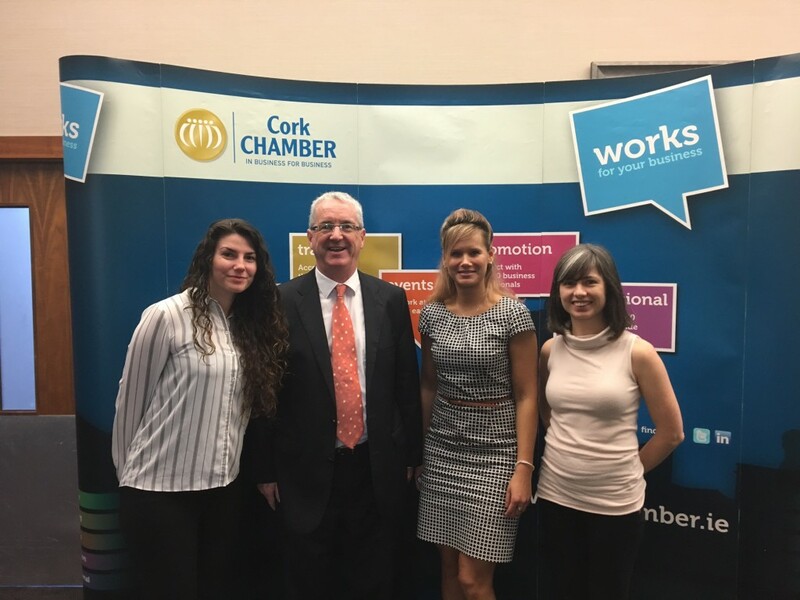 Ken Murphy (Director, CareerWise Recruitment attended a recent Cork Chamber Business Breakfast on Friday October 6 at the Cork Airport Hotel. Sinéad McSweeney, Managing Director Twitter Ireland and VP of Twitter’s Public Policy and Communications team in EMEA was the guest speaker and the breakfast was held in association with the Irish Examiner. A Midleton native, Sinéad has been a key leader within the Twitter team since she joined the company in 2012. Sinéad is a qualified barrister and has a wealth of experience with former roles including Director of Communications for An Garda Síochána, Director of Media and Public Relations for the Police Service of Northern Ireland and Special Adviser to the Minister for Justice, Equality and Law Reform.